This guide will be used in conjunction with the HTPCBuild.com’s Python Install Guide. 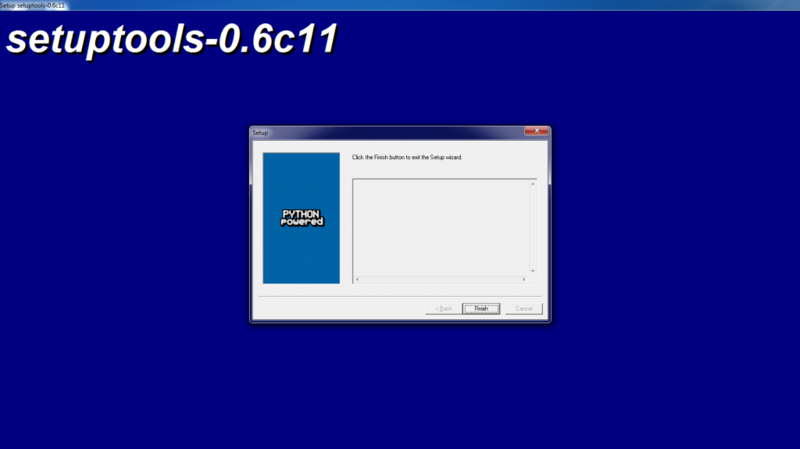 You’ll be installing Python to make use of HTPC software such as Maraschino. 1. Download Python Setup Tools. I recommend setuptools-0.6c11.win32-py2.7.exe. Locate the download and double click to start the install. Window User Account Control will prompt you asking you to confirm the program execute, click “Yes”. The install wizard will open, click “Next”. 2. The wizard will now asking you to confirm the install directory. The wizard will check your registry for a previous Python install. If you followed the Python Install Guide, your install directory should be C:\Python27\. Click “Next”. 3. This setup is fairly redundant, it gives you an opportunity to turn back. Click “Next”. 4. The setup is now finished. Click “Finish” to close the wizard. Python Setup Tools is now installed! Feel free to install HTPC software like Maraschino!